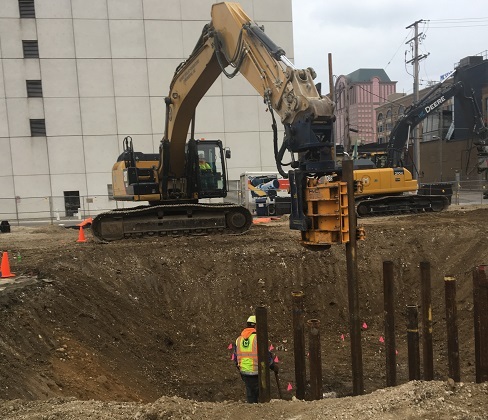 The Milwaukee Bucks Deer District Plaza project consists of installing over 300 Micropiles for buildings and structures surrounding the new Milwaukee Bucks basketball arena. 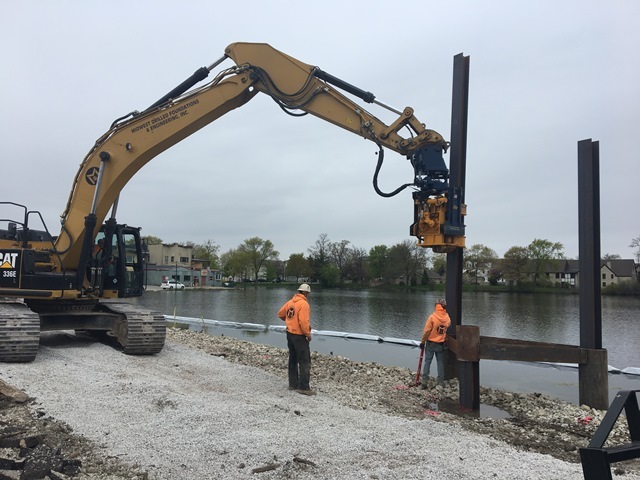 This was a project initially intended to be constructed with Helical Piers, but we offered a Design-Build solution of Micropiles as they were a better solution for the site's soil conditions. 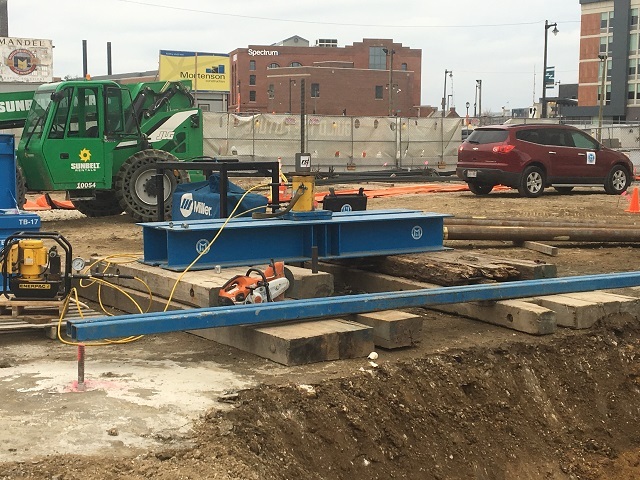 These Micropiles were installed with a TEI Rock Drill attachment for our CAT 336 Backhoe. 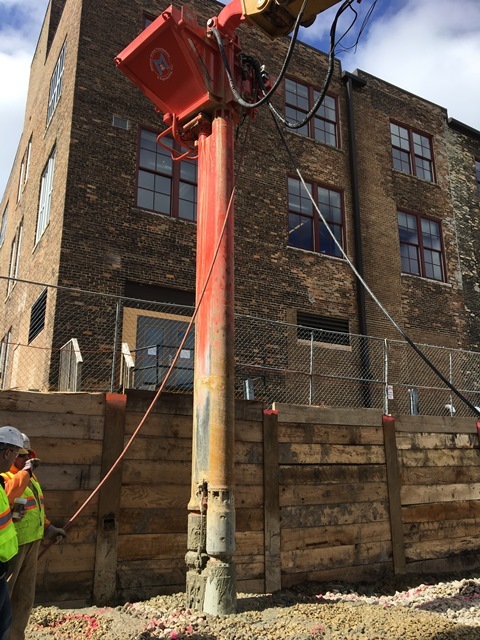 In some instances, pile depths were up to 80' deep. 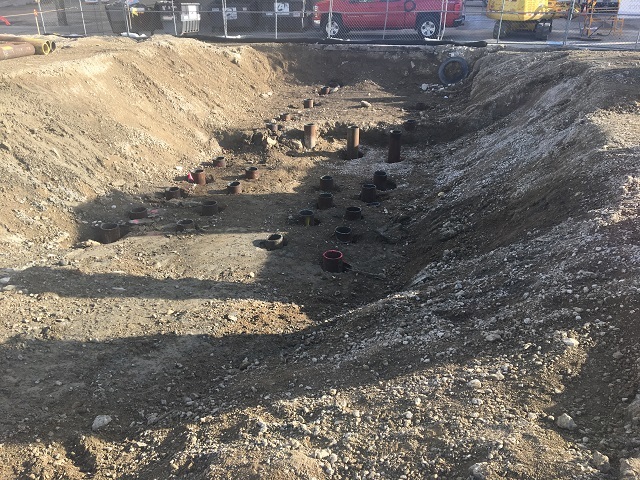 Load testing was completed at different locations throught the site to ensure adequate capacity was being achieved. 722 Williamson Street was a project to convert an old parking lot into a new apartment building. The existing soils were not capable of supporting the loads created by this new building. Our solution was to use Stone Columns to improve the existing soils so that the building could be properly supported. 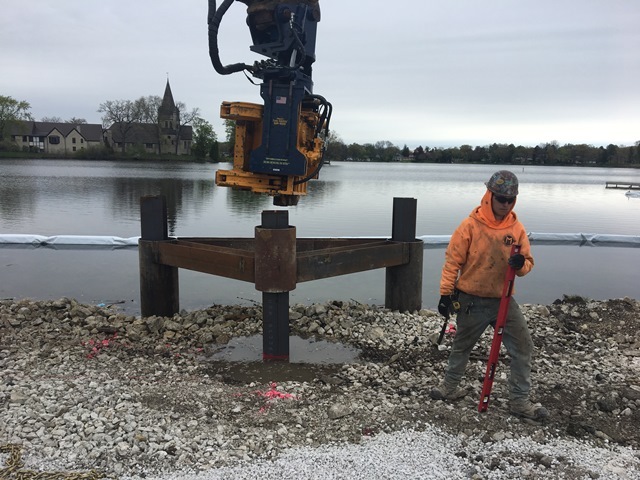 Stone Columns are a soil improvement technology in which we use our PTC VL-18BFS Vibrolance to disperse stone into the ground and form it into a column. 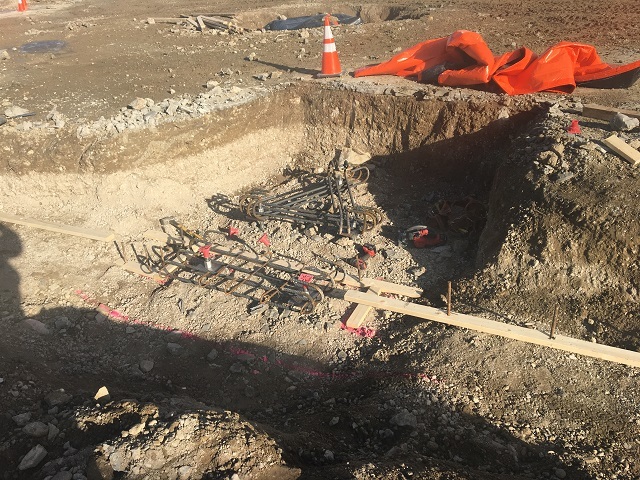 The Stone Columns are placed around the site under wall and column footings. The process consists of a few simple steps. 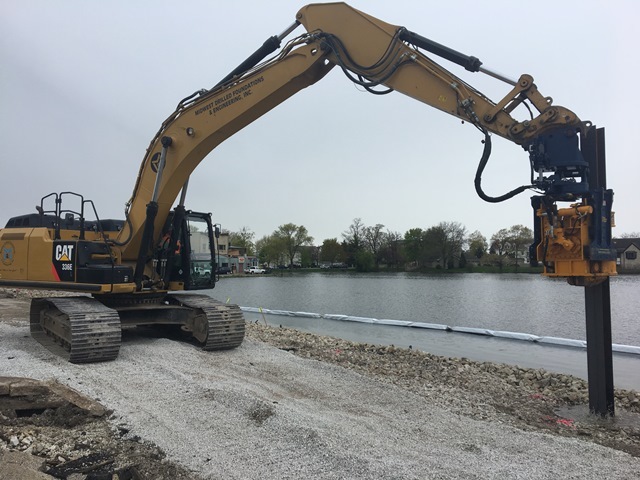 First the Vibrolance, which is an attachment for our CAT Backhoe, is vibrated down to the target tip depth. Next, we load the hopper on top of the Vibrolance with stone. Finally, the Vibrolance is slowly extracted from the soil while dispersing the stone from its tip. 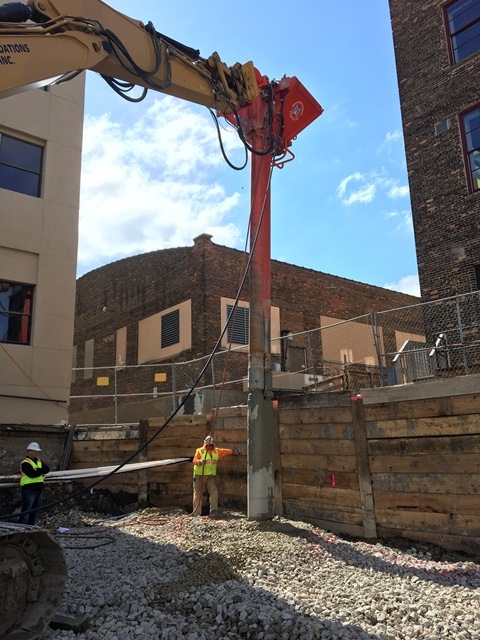 The stone will form a column as the Vibrolance is extracted and compact the existing soils. This compaction is how we can improve the soils until they are rated for a suitable bearing strata. 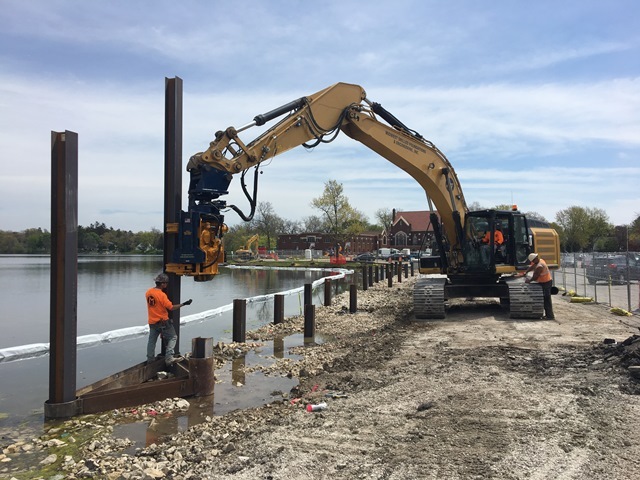 The Fowler Lake Boardwalk project involved installing H-Piles to support the new boardwalk and its bumpout piers. 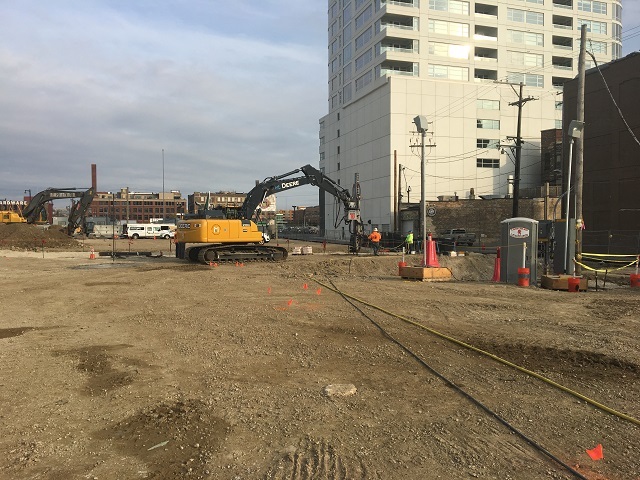 The H-Piles were vibrated down to depth using our CAT 336 backhoe with a Movax SPX 100 Vibratory Hammer. 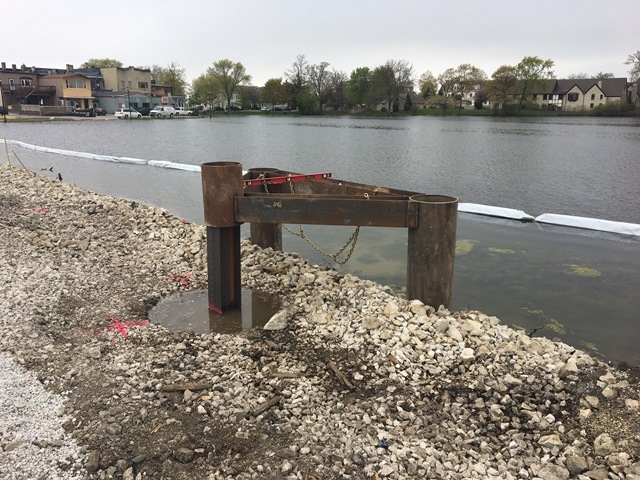 We utilized a self-fabricated template to insure that each group of H-Piles were installed in the proper location.